The Klingon Empire stands on the precipice. 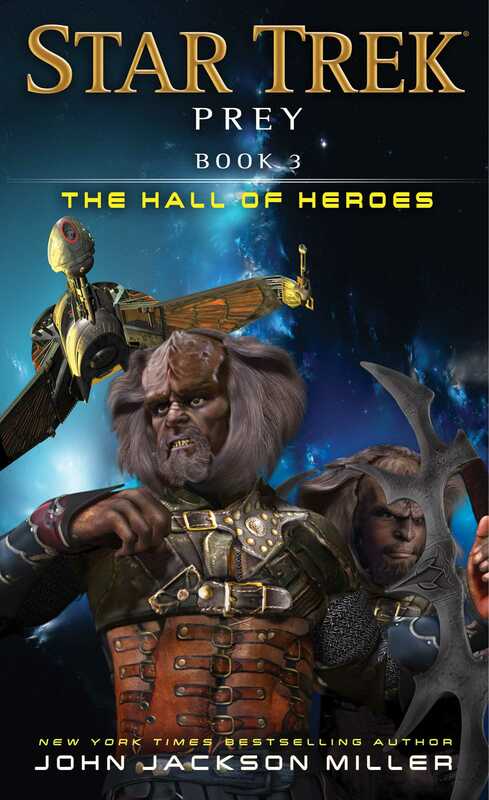 In the wake of violence from the cult known as the Unsung, paranoia threatens to break Chancellor Martok’s regime. Klingons increasingly call for a stronger hand to take control...one that Lord Korgh, master manipulator, is only too willing to offer. But other forces are now in motion. Assisted by a wily agent, the Empire’s enemies secretly conspire to take full advantage of the situation. Aboard the USS Titan, Admiral William T. Riker realizes far more than the Federation’s alliance with the Klingons is in danger. With the Empire a wounded animal, it could either become an attacker—or a target. John Jackson Miller is the New York Times bestselling author of novels including the Star Trek: Prey trilogy; Star Trek: The Next Generation – Takedown; Star Wars: Kenobi; Star Wars: A New Dawn; and Star Wars graphic novels, including the Star Wars: Knights of the Old Republic series. He has also written the eNovella Star Trek: Titan: Absent Enemies. He has written for franchises including Halo, Battlestar Galactica, Conan, Iron Man, Indiana Jones, Mass Effect, Planet of the Apes, and The Simpsons. A comics industry analyst and historian, he is the founder of Comichron, the world’s largest public database of comic book circulation data. He lives in Wisconsin with his wife, two children, and far too many comic books.